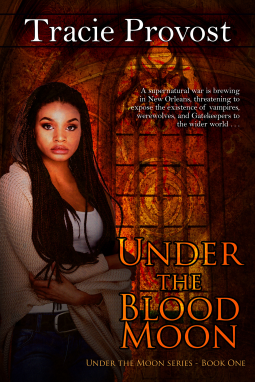 A supernatural war is brewing in New Orleans, threatening to expose the existence of vampires, werewolves, and Gatekeepers to the wider world . . .
Ritually staked and hidden for two hundred years, Juliette de Grammont, voodoo priestess and vampire, is found and revived. Just days after she is freed, still coping with a world she could never have imagined, she loses her sire and vampire coven in a fire. Confused and alone, Juliette seeks the help of the city’s powerful Grand Master, but dark elements within the city are conspiring to topple that regime. Soon Juliette’s struggle for survival places her in the middle of a supernatural war for control of the city. Josh Bouchard, former Texas Ranger now vampire and coven lieutenant, is drawn into the conflict and appoints himself Juliette’s protector over her objections. They must enlist the help of both the city’s werewolf pack and the Gatekeepers—a shadowy group dedicated to keeping the paranormal world secret from humans—to forge a coalition to save New Orleans from the powers that seek to destroy it. After traveling extensively with wanderlust struck parents, Tracie Provost settled down to small town life in rural Georgia. There she teaches history at a small university and writes to keep her cats in the luxury to which they have become accustomed. I voluntarily read this book as an Advanced Reader Copy ... I am now providing you with my honest review of this book. I was caught from the beginning and continuously captivated as I continued to read. The world she builds in is familiar as a long time reader if paranormal fiction and lover of Anne Rice. Still she managed to craft a world that was both familiar and new at the same time. I loved that Juliette was both a strong female character while retaining the docile nature of an 18th century woman. Despite her often docile nature, Juliette is a tour de force for sure and I look forward to experiencing mire with her and the rest of the Cast of Characters! I also came to very much enjoy many other characters ... Sophie, Josh, Beau ... even Gabe ... Marc is an interesting character and I have not decided where he falls on the like meter.